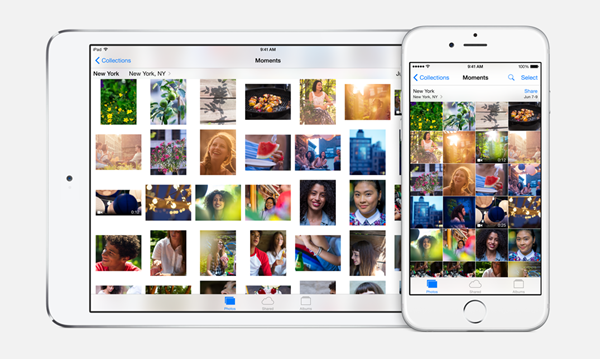 With Apple set to hit the big ‘GO’ button on iOS 8.1 come Monday one of the features that users will see arrive alongside it is the iCloud Photo Library functionality that has everyone wondering whether Apple has finally given us all somewhere to keep our photos instead of having to rely on third parties. It’s still in beta, but it’s there. Ahead of Monday’s go-live though, reports are surfacing that Apple has already flicked the switch on the Web element that will allow people to view their photos and videos from any Web browser – even those running on a Windows machine. 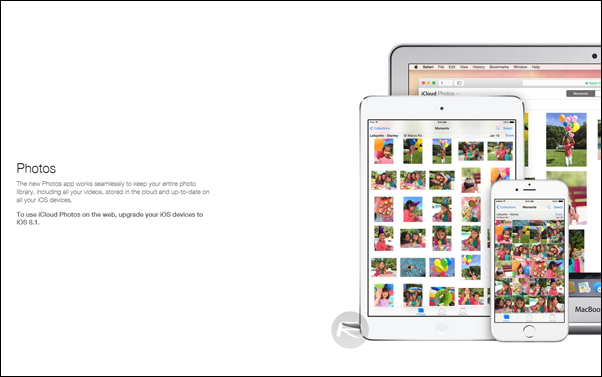 Those currently using the beta release of iOS 8.1 are now finding that heading over to beta.icloud.com/#photos is now presenting a Web portal that gives them access to any media that has been saved to their iCloud Photo Library. Anyone not in possession of an iPhone or iPad that is using the beta will be told to upgrade to iOS 8.1, which is obviously not something that they can do until Monday. Apple’s iCloud Photo Library claims to be the place that all our photos and videos will live once it goes fully live, removing the need for services like Dropbox and Google Drive. Given past problems with iCloud and MobileMe before it though, it’s understandable that many are waiting to see how things pan out before throwing gigabytes upon gigabytes of data at Apple’s servers. Even when they do, backups will very much be the order of the day until Apple has built some good will as far as online services are concerned. Apple will be releasing iOS 8.1 on Monday. Featuring bug fixes and the addition of new features such as Apple Pay, the update is one that both Apple and its customers will be hoping will plug some of the holes left by iOS 8 and iOS 8.0.2. I hope they make it easy to batch download photos. That way if a user decides to leave the apple ecosystem they can easily download all the photos.